NEW YORK (Reuters) - A former top elected official on New York's Long Island was convicted on Friday of taking bribes to help a local businessman obtain millions of dollars in taxpayer-funded loans, federal prosecutors announced. 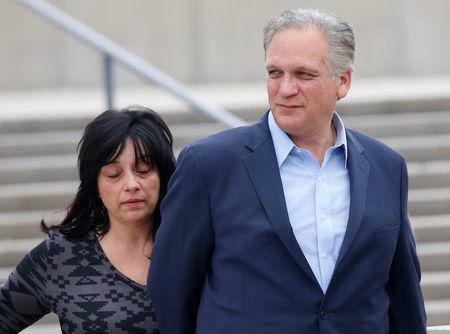 Mangano's wife, Linda Mangano, was also convicted of related charges of obstruction of justice and making false statements to federal agents. "Linda is disappointed by the verdict but remains optimistic that she will be vindicated on appeal," Linda Mangano's lawyer, John Carman, said in an email. Nassau County's finances have been in disarray for years and are subject to a state-operated oversight board.